Bash em up, way up! Protect your doors and the door moldings! Comes with step, and mud guard for those nasty trails, but clean up great for a night out. 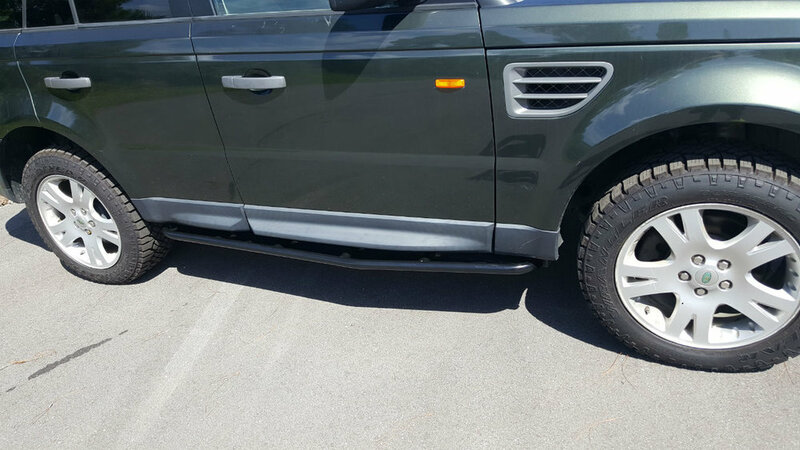 A must have when out rock crawling to help protect your Range Rover. The Voyager Rock Sliders are easy to install to your current stock mounting locations, so no drilling required.